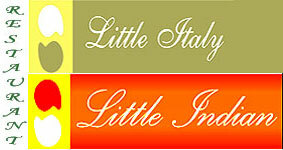 Little Italy-India - (Est.1995) is considered to be one of the finest Italian Veg. Restaurant in India and Dubai - UAE. "Little Italy" started with a outlet at Juhu, Mumbai, which took a decade for creating brand awareness in Mumbai, today it runs a chain of restaurants spread across India and Dubai, in major cities and having a growth rate of 40%. Mr. Mehta (CMD) hired Chef from Italy and 40% of the Ingredient used in Italian food is been imported from Italy to make the food authentic and to get the perfect Italian flavour to suit the taste buds of the Indian customers. Little Italy-India - with its distinctive designed Italian dishes and a relaxed Italian seating and other arrangements, provides a glimpse into the Italian way of enjoying a meal. "Little Italy" ideology that our customers must always get quality products, served quickly - with a smile, in a clean and pleasant environment. 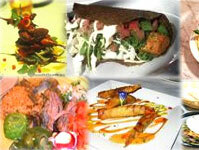 We are committed to exceeding our customer's expectations in every restaurant every time. We have a passion and a responsibility for enhancing and protecting the Little Italy brand. We will seize every opportunity to innovate and lead the industry on behalf of our customers. 1) The Best Veg. Restaurant award, 1997. 2) The Best Italian Veg. Restaurant in India, awarded by the Italian government in, 1999. 3) The International tourism council award. 4) The Best menu card award, 1999. 5) The Best Italian Chef award to the Chef by President of Italy , 1999. 6) The Best Italian Veg. Restaurant in Mumbai, 1999. 7) The best Italian Veg. Restaurant in India, 2001. Offers exclusive live tandoor for a great experince. 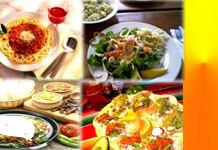 It is also located in Bangalore - Chennai - Jaipur. Speciality Items are Adraki Tamatar Ka Shorba, Paneer Pudina Tikka, Paneer Roomani Chandani, Meher Paneer, Hydrabadi Saalan, Dum ke Khumb, Zaffrani Biryani, Masala Bhaat, Ajwaini Paratha, Roomali Roti, etc.